I have seen this book tag all over the place lately. I have finally decided to do it! 🙂 RULES Tag & link the person who tagged you Tag and link me/this post (if you would be so kind, I love reading your answers!) – Jenn Tick/cross off the ones you’ve done Tag another 10 people! … Continue reading Bookish Naughty or Nice Tag! TAG: THE LOGOPHILE BOOK TAG Thanks to Sara @ The Bibliophagist for the tag! This one looks so fun and I'm excited. 🙂 THE RULES Thank the person who tagged you Pingback Bookmark Your Thoughts’ original post so I can see your lovely answers! Pingback the person who tagged you so they can see the post. Bonus: If … Continue reading The Logophile Book Tag! Five Star Books of 2018! I've been wanting to do a top books of 2018 post. I then became quickly overwhelmed and kept pushing this post. I decided the best way to go, with the least amount of thinking, is my 5 star reads! So here we go... in no particular order... I actually rated several of the Saga volumes … Continue reading Five Star Books of 2018! TTT: Books I Hope to Find Under My Tree! Top Ten Tuesday is a weekly feature hosted by That Artsy Reader Girl. Each week there is a new topic for bloggers to choose and list their top ten. This week’s theme is Top TEN Books I Hope I Find Under My Christmas Tree This Morning. Merry Christmas!!! If you celebrate. I hope everyone is having a happy … Continue reading TTT: Books I Hope to Find Under My Tree! Nightmare Before Christmas Book Tag! I was tagged by the lovely Siobhan to do this tag. Thank you! I have linked her post, so you can check out her answers too! 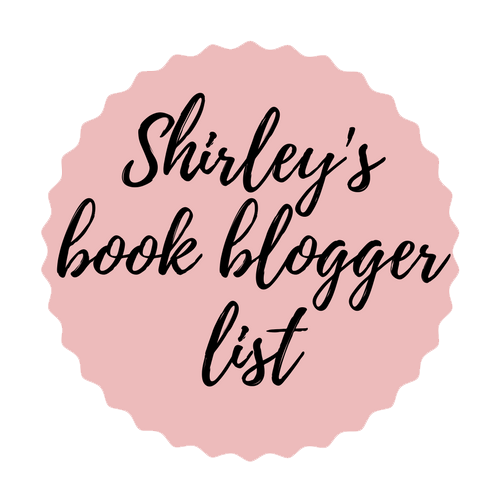 Sally | A book with a character who loves someone so much and actually gets them in the end I am only in the 3rd book but I know … Continue reading Nightmare Before Christmas Book Tag! I was tagged by the awesome Lori. Thank you so much! Please check out her answers too! Happy Christmas Eve!!! I hope you are having a lovely holiday! 1. HOT CHOCOLATE: MARSHMALLOWS AND CHOCOLATE AND WHIPPED CREAM, OH MY! RECOMMEND A BOOK THAT’S SWEET THROUGH AND THROUGH. Oh, this book is so sweet and makes me so … Continue reading Holiday Drinks Book Tag! There have been several posts about which books people are looking forward to next year! I guess, it's my turn. haha. Honestly, I really needed to do this to catch up, for myself. It's been a crazy end of the year for me and I have been out of the reading world for a few … Continue reading Anticipated 2019 reads!! !